Eventually, northwest of Verdun, the sheer weight of the German infantry assaults and of their massive shelling carried them to the tops of both Mort Homme and Hill 304. 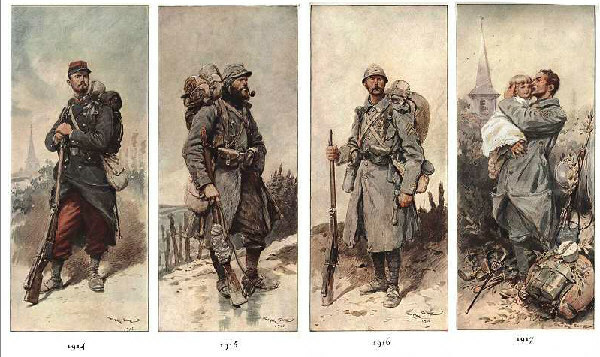 With the determined French defence still clinging to the lower slopes on the other side of the hills, and the continuing incoming artillery fire from the forts to the South and East, no further progress could be made. At tremendous loss of life on both sides the German assault on the west (left) bank had been halted. Both hills had been reduced to corpse ridden, stinking abattoirs and would stay as such for many months. On the right bank, things were much the same. There were now 2200 guns on the German side and about 1700 on the French. The battle had degenerated into a massive artillery duel in which the average infantry man was nothing; he could only take his place in the line and hope he survived until relieved. Many thousands, on both sides, did not and their bones are still present in the ghostly forests to this day. 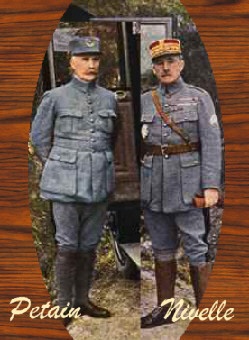 On April 19th, Petain was promoted. He no longer had daily command of the battle. General Nivelle arrived. He did. Initially Britain was not organized for a major continental war, nor for this almighty influx of civilians, each one clamouring to be a soldier. Very old retired officers besieged the War Office demanding employment, recalling their services with the Colours in Africa and the Empire, back in '84, or even back at Balaclava! Uniforms and rifles did not exist and, more importantly, the mechanism of command for handling a 1000 man battalion did not exist. Retired officers and NCOs were recalled from the Reserve and given command of this enthusiastic crowd who fell in very untidily on the nearest football field or large open space, often proudly wearing their best clothes. Often, anyone who had held any position of authority anywhere whether in the Boy Scouts or the accounts office, was invited to step forward and told, "You are now in charge of this group of men." Accommodation was problematic and initially the men went home at the end of the day. Barracks came much later! Drill was the order of the day and gradually the men learned to form fours, right turn and to step off smartly with the LEFT foot all in accordance with the requirements of the drill manual and more importantly, the commands of the stentorian voice of the drill sergeant. 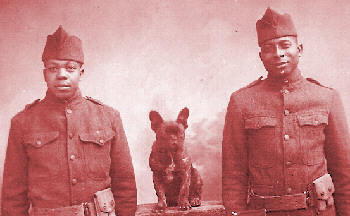 In the spring of 1915, army uniforms began to arrive, and, later, rifles, albeit not the latest Short Magazine Lee Enfields. Now the men of the New Armies, as they were called, were beginning to look like soldiers! They rapidly had their photos taken with unofficial watch chains, swagger canes in hand and a girl friend on their arm. Through the summer of 1915 they became a trained body of men, polishing their new barrack blocks and taking a pride in their new found house cleaning abilities, fired musketry courses and drilled. They learned to put a penny in the magazine of their Lee-Enfield rifles so that the crash of rifle drill echoed across the windblown barrack squares. And one unit at a time, they were judged to be soldiers and sent to France. The great adventure had begun. 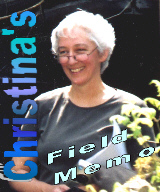 If you would like to visit these fields of memory for a detailed tour, please email Tony Noyes or Christina Holstein to discuss your requirements without obligation. The Verdun Ossuary stands on a bare hillside at the head of Dame Ravine (on modern maps this ravine is marked as the Ravin de la Mort). At the beginning of 1916, this hillside was the site of a number of concrete bateries and infantry entrenchments, which, together with a combat shelter, have entirely disappeared. A number of memorials are to be seen on the western side of the Ossuary. These include the large memorial to Jewish soldiers of France, the allied nations and foreign volunteers, who died for France during the First World War. Its design recalls the Western Wall of the Temple and the two tablets are inscribed with the beginning of each of the Ten Commandments. The Ossuary was inaugurated on 7 August 1932 and owes its origin to the work of Monsignor Ginisty, Archbishop of Verdun from 1914 to 1946, who travelled the world to raise money to build a final resting place for the men whose bones scattered the battlefield. The building is said to represent the hilt� of a sword that has been thrust into the ground against the invader. Inside the Ossuary, the central gallery is 137 metres long and houses forty six stone �coffins� set in alcoves. Each alcove commemorates a particular sector of the battlefield and any human remains found in that sector are placed in the corresponding vault on the lower floor. The Douaumont alcove is immediately on the right of the chapel by the entrance to the tower. At the top of the tower, orientation tables in the window ledges help to identify the principal features of the battlefield. Although Fort Douaumont is only just visible from the tower, the extensive panorama brings out clearly the strategic importance of the Douaumont-Froideterre Ridge. The chapel has an interesting series of memorial windows. The first window on the right and the last window on the left are memorials to Lieutenant Francois Gu�neau de Mussy, the commander of 8 Company, 129th Infantry, who was killed on Fort Douaumont on 22 May 1916. The last window before the altar on the right hand side is an unusual memorial to nurses who served at Verdun. Mass is said in the chapel at 10am on the first Sunday of each month. 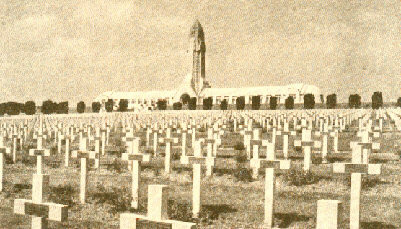 The national cemetery in front of the Ossuary contains the graves of 15,000 French soldiers, a section on the left hand side being dedicated to Muslim soldiers in French regiments. Fifteen years ago or so, I started collecting kid's literarture from WWI after picking up a Strang titled "Hero of Leige" about 15-20 years ago. What knocked me out was the cover art. So I began to look around for more such volumes. I've collected hundreds over that time. You can see some examples here. Most of them have wonderful cover graphics. As an insight into the times they are priceless. "The War For Boys and Girls 1916." for example. The disconnect between the home front and the front lines is astounding. As literature? Forget about it. Typically, Bruce Bradford, intrepid Yankee flying ace, saves the brave French nurse from the unwelcome advances of the beastly Hun with a clean cut All-American blow to the jaw. And the racial characterizations make your curl. If you ain't a WASP, preferrably from Yale, fuggetahboutit. It is very common for people to assume that during 1914-18, the British population were unaware of the circumstances on the Front Lines during the war, often deliberately choosing to ignore elements that might have been disturbing or discomforting to them. I have argued for some time that this was a very public attitude - symptomatic of the population's need to not only put a brave face on things, but in many ways to uphold British values 'Until the Khaki Boys come marching home'. After all, a country so wholly at war would not want to dwell on casualties, fears that men might not return, deaths, wounding or shock from close relatives and loves in public, as not only would this be bad for morale, but how could a country survive in such a state of permanent grief and worry? Recently however, I read something that really challenged this idea. This was about the popularity of films such as Battle of the Somme (1916). 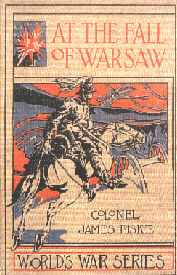 Two hundred and forty war films were released during the war from 1915, along with 132 newsreels. By far the most successful - indeed, arguably the most successful film in British box office history, was Battle of the Somme, released whilst the battle was still being fought in August 1916. It portrayed the early stages of the Battle, including footage from the first few days. It is estimated that 20 million people saw it in the first six weeks (although no firm stats exist because of the ways films were distributed and then shown). 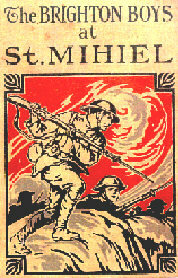 The success of the film meant that two more were quickly released in the next year; Battle of Arras (1917) and The Battle of Ancre and the Advance of the Tanks (1917), but perhaps surprisingly to a modern audience, the popularity of the feature length film waned very quickly (even when presented with the astounding new invention of the tank), and the government went back to showing short factual films. This is what astonishes me so much about the film. Did people not want to watch these films? Could they not relate to them, did they simply not want the war to be so close? Did they find these films boring, too long, too repetitive? It is a mistake to think that we can understand the attitudes of the time, and an even greater one to compare them to our own, but this simple detail makes me wonder. If Somme was so successful, why were its sequels received so badly? Dr. Esther MacCallum-Stewart is a researcher at the University of Sussex and runs our favorite First World War weblog Break of Day in the Trenches. Click on the icon below to visit her site. "Answers in the Trenches: Finding Family History in World War I" is a short overview of the war. "Smoldering Home Fires" discusses how census records and alien registration records were gathered and which alien registration records have survived. "Searching the Home Front" gives information on research using service records, draft records, discharge papers, cemetery and death records and the effects of the Great War on records abroad. 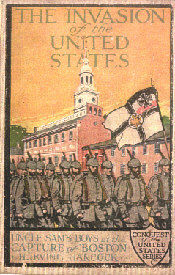 "Memoirs and Memories" is a list of web sites that contain first-hand accounts of World War I experiences. Back copies of Ancestry Magazine can be ordered at shops@ancestry.com. A number of Edgar Rice Burroughs' adventure and science fiction novels focus on the impact of The Great War on his heroes and world civilization in general. Two of the best Tarzan novels, Tarzan the Untamed and Tarzan the Terrible have the jungle lord fighting marauding German troops in East Africa and rescuing Jane from the Germans. Even, Tarzan's son, Jack shows up at the end, home from the battle of the Argonne. Ulysses Paxton, the hero of The Mastermind of Mars, is able to leave his dying body behind on the First World War battlefield and miraculously transport himself to Barsoom, the red planet Mars where he rescues Valla Dia, a Martian princess. Unfortunately, only two Tarzan films have been produced as period pieces, Greystoke: The Legend of Tarzan, Lord of the Apes and Tarzan and the Lost City. Tarzan: The Epic Adventures television series starring Joe Lara aired in 1996-1997. Many of the episodes were more directly based on the Tarzan novels than previous incarnations but this series isn't scheduled for DVD release. Bob Clampett tried animating John Carter of Mars but couldn't get financial backing. His animation tests can be found on the now out of print DVD, Bob Clampett's: Beany and Cecil. A feature film based on John Carter of Mars is currently in pre-production. 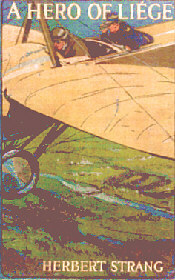 Beyond Thirty (recently republished by the University of Nebraska Press in their Bison Frontiers of Imagination series) takes place in the year 2137 and deals with the adventures of the crew of a Pan-American Federation aero-sub who accidentally make contact with the Old World after a century and half of isolation. Burroughs saw a future where the First World War shattered the Old World empires that sunk to barbarism and new empires of China and Africa emerged. The Land that Time Forgot and its sequels, The People that Time Forgot and Out of Time's Abyss first appeared in The Blue Book Magazine in 1918 and also have recently been republished in the Bison Frontiers of Imagination series. The trilogy begins as a World War One adventure story with a German submarine being captured by an English tugboat. Eventually the U-Boat ends up entering the lost land of Caprona to encounter dinosaurs and cavemen. Each story in the trilogy adds new adventures and mystery, for Caprona (or Caspak, as its inhabitants call it) is a land where each individual of each species undergoes evolutionary development; a very weird circumstance, indeed! The Land That Time Forgot directed by Kevin Connor and starring Doug McClure was released in 1975. The screenplay was co-written by noted science-fiction writer Michael Moorcock. 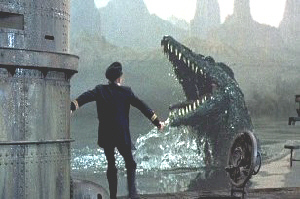 It follows the basic plot of the novel with a World War One German U-Boat and the survivors of a torpedoed British freighter combining their forces and wits to survive lots of dinosaurs and cavemen. Unfortunately, while the first half hour is a good sea war adventure story, the mediocre special effects used to create the prehistoric animals nearly sink the picture in the last hour. However, there's a whole prehistoric menagerie on display with nine different species to be seen- a Pterodactyl, Mosasaurus, Plesiosaurus, Diplodocus, Allosaurus, Ceratosaurus, Triceratops, Styracosaurus and a Polacanthus. There may not be quality but there is quantity and Caprona looks prehistoric with lush vegetation, oozing pools of oil, mists and the occasional prehistoric landscape panorama. In 1977, The People That Time Forgot was released, again directed by Kevin Connor and starring Patrick Wayne. The script is not as sharp nor is the acting as good as in The Land That Time Forgot but if you've ever wanted to see a Pterodactyl attack a biplane, this film has it. Out of Time's Abyss, the third title in the trilogy was announced but never produced. The Land That Time Forgot and The People That Time Forgot are available on DVD as a Midnite Movies Double Feature from MGM Home Entertainment. Both titles are enhanced 16X9 widescreen which shows off their good points of production design, location footage and volcanic eruptions and their bad points. Andrew Melomet, Proprietor of Andy's Nickelodeon will answer your Great War film or video inquiry. He is also soliciting your recommendations for the WWI Filmography he is compiling for our readers. Just click HERE. The following are thanked for their contributions to this issue of the Trip Wire:Donna Cunningham, Christina Holstein, Bob Denison, Bob Ford, Tony Noyes, Esther MacCallum-Stewart, Andy Melomet, Len Shurtleff. [Sorry I lost the full list for this issue.] Until next month, your editor, Mike Hanlon.